When we have a burning drippy nose Allium Cepa 30c is our go to. Allium Cepa 30c by Boiron works great for clear burning runny nose. 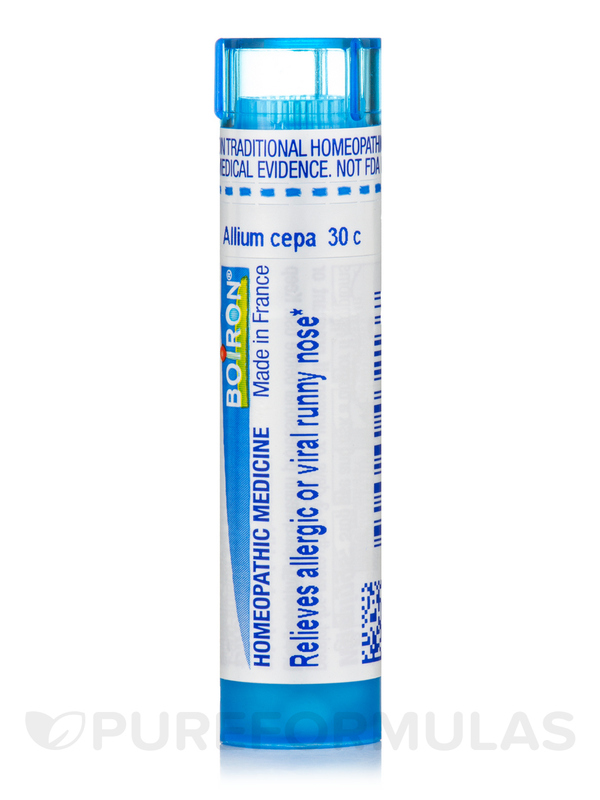 Allium Cepa by Boiron is good for cold phlegm, cough, runny nose, and eyes. 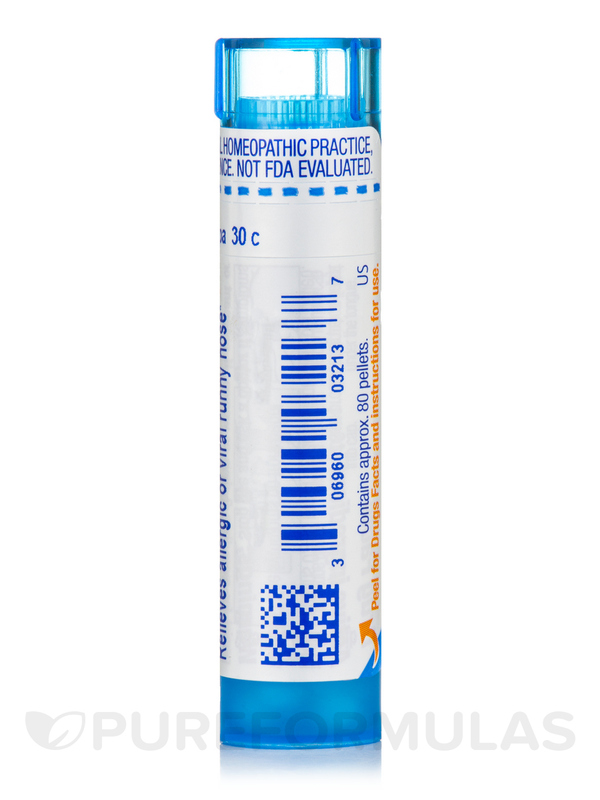 Allium Cepa 30c by Boiron has helped with my son's seasonal allergies. His nose is still congested, but not completely clogged up like it had been for months. Dries up your runny nose! Allium Cepa 30c by Boiron is an excellent product. I've used it for years for runny nose and eyes! I take Allium Cepa 30c by Boiron when I have a clear runny nose from allergies or sickness. Helps clear that right up! I've found the Allium Cepa 30 by Boiron more effective for our allergies than the 6c. Finally, we found something that works!! My son has had a stuffy runny nose for years now. I started with hayfever years ago and never left. It lessens in winter. We have tried taking out various food groups, and nothing would take it all away. After the second dose of Allium Cepa 30 by Boiron in a day, he said his nose felt weird. I asked how? He said I can breath out of both sides. Wow. 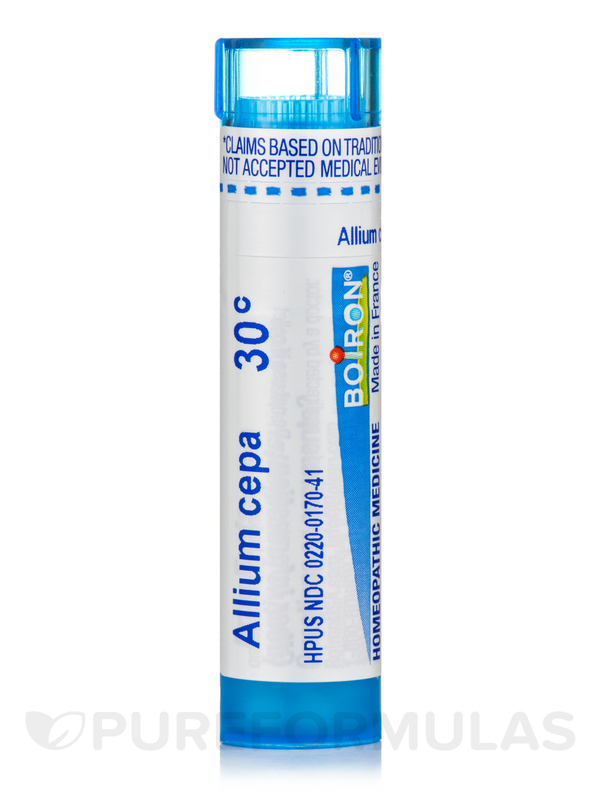 Allium Cepa 30c by Boiron works fast and is easy to take. It was recommended by my naturopath. I give to my 7 year old daughter who has seasonal allergies. The pellets taste good, so she has no problem taking them. The small bottle is very convenient to take with you anywhere. And my favorite part is that it's inexpensive. Tastes good. Easy dosing cap. Conveniently small bottle. Inexpensive.